Our Peameal is made from well-trimmed pork loins cured in a traditional pickling brine for a full 48 hours allowing the flavours to really sink in. 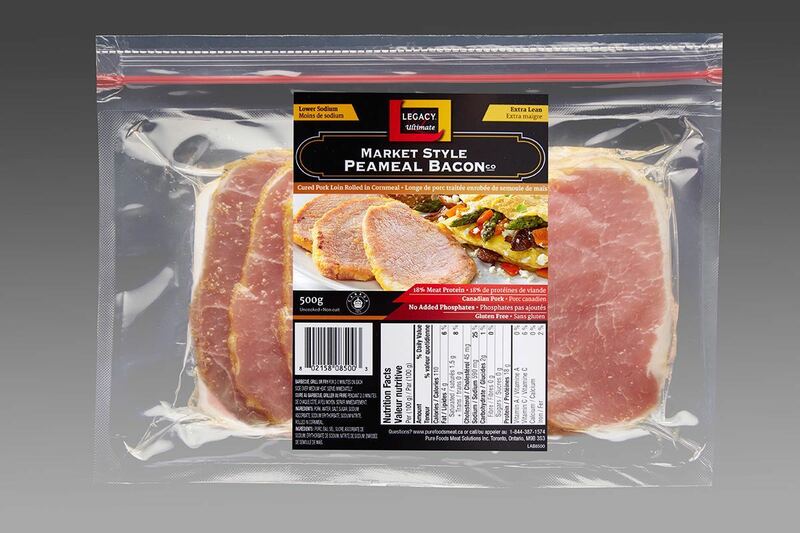 Our Market Style Peameal is extra lean, gluten free, phosphate free and available in low sodium. Perfect for breakfast, lunch or dinner. Ingredients – Pork, water, salt, sugar, sodium ascorbate, sodium erythorbate, sodium nitrite, rolled in cornmeal. 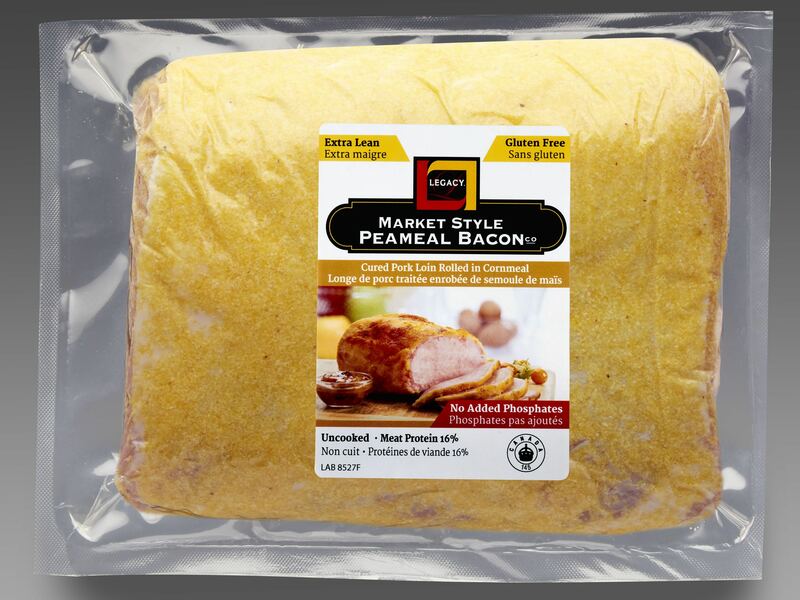 Peameal Bacon Slices – Barbecue, grill or fry for 2-3 minutes on each side over medium heat. Serve immediately. Peameal Bacon Roast – Place in baking dish. Cover dish tightly with foil. Bake at 350°F for 45 minutes per lb/500g or until an internal temperature of about 160°F is reached. Prepare glaze (3 Tbsp each of mustard & brown sugar) and spread on roast. Increase heat to broil and cook for another 5-10 minutes or until golden on top.